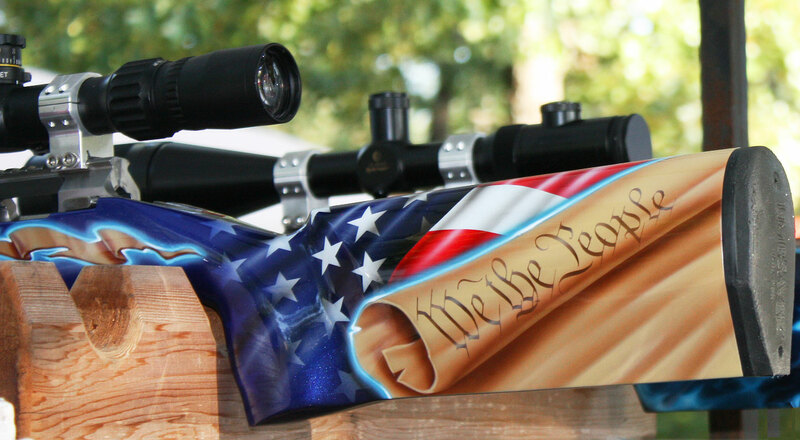 On August 30-31, 2013, Robert and Chrissy Ross hosted this year’s 2013 IBS 1000-Yard National Championships at their Midwest Benchrest range in Yukon, Missouri. This year’s format was run with all the Light Gun (LG) relays shot on Friday, followed by all the Heavy Gun (HG) relays on Saturday. The competition was very tight as the Two Gun Overall Champion, Henry Pasquet from Elsinore, Missouri, didn’t even realize he had won until his name was called out at the award ceremony. 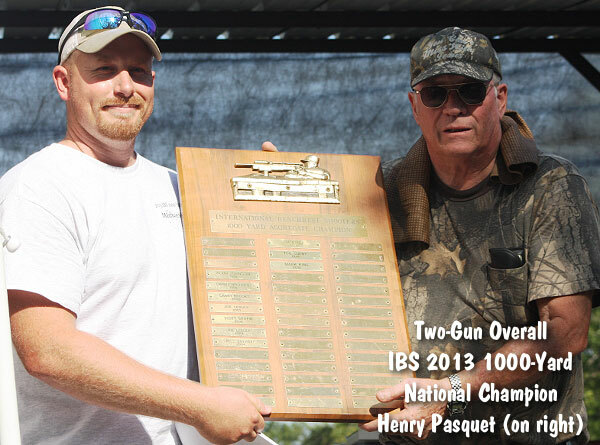 Henry, an active AccurateShooter Forum member, secured a well-deserved National Championship with strong performances in both classes. Henry registered a fifth place in LG Group along with tenth place in LG Score. Henry then finished first in HG Score along with eleventh in HG Group to earn the 2013 Two-Gun Overall Title. Matthew Kline traveled from Pennsylvania to take second place in the Two Gun competition. He garnered that honor with an eighth Place in LG Group and a fourth place in LG Score. Matthew followed up these with a ninth place in HG Group and eleventh place in HG Score. Kansas’ Jim Bauer came in a close third in the Two Gun rankings, by finishing first in LG Score and 21st in HG Group, then adding a second place in HG Group and 16th place in HG Score. Jim’s wife Sally, last year’s IBS long-range Shooter of the Year winner, was the Top Female Shooter. Rory Jacobs, from Vapor Trail Valley Shooting Club in Spickard, MO was the Top Junior Shooter. 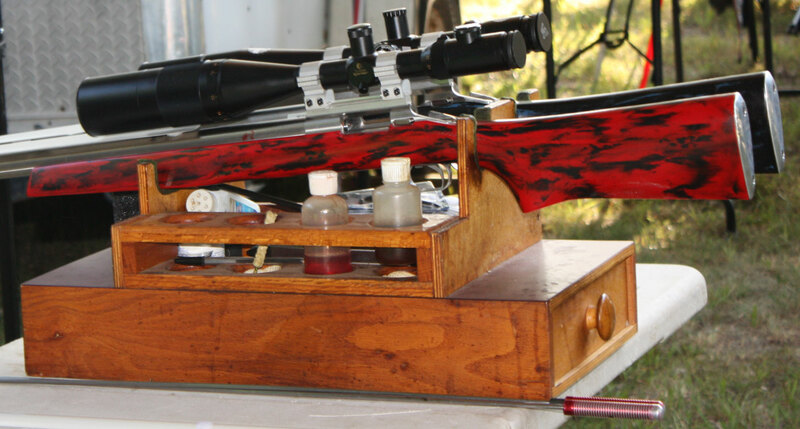 The Midwest Benchrest range is literally in the Ross’ back yard and is cut right out of the middle of a Missouri forest, which gave the shooters new to the range a false sense of confidence, thinking the trees would block the winds. The shooters had to deal with temperatures in the upper 90s (and the shade trees offered little relief). With the incredible humidity present, it felt it was even hotter. Although the winds weren’t very high, they weren’t very cooperative either, as they were never consistent throughout both days. One minute it was directly behind the shooters and the next it was quartering to the right. A moment later it was to the left. The early relay winners seemed to favor the end benches, while later in the day, they seemed to favor the middle benches. There was was nothing but bright sunshine for the two-day event. Cloud cover and cooler temps, which were earlier forecast for the shoot, finally showed up the day after the tournament. Needless to say, the “heat monkeys” were making small groups difficult at this year’s shoot. Most small groups that were shot, were followed up with larger groups, in both the LG and HG events. 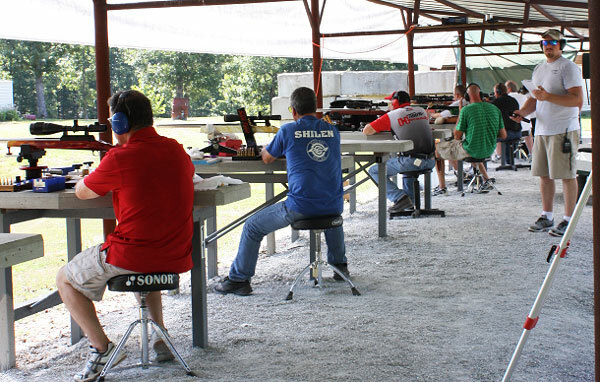 The two-day competition was run as smoothly as any monthly shoot is run. The weekend’s shoot really started off on Thursday night though. Jim and Sally Bauer, Hornady, and Midwest Benchrest, sponsored a fantastic fish fry for all the competitors and their spouses. This provided some neutral ground to meet up and catch up with both new and old friends alike before the actual shooting began. 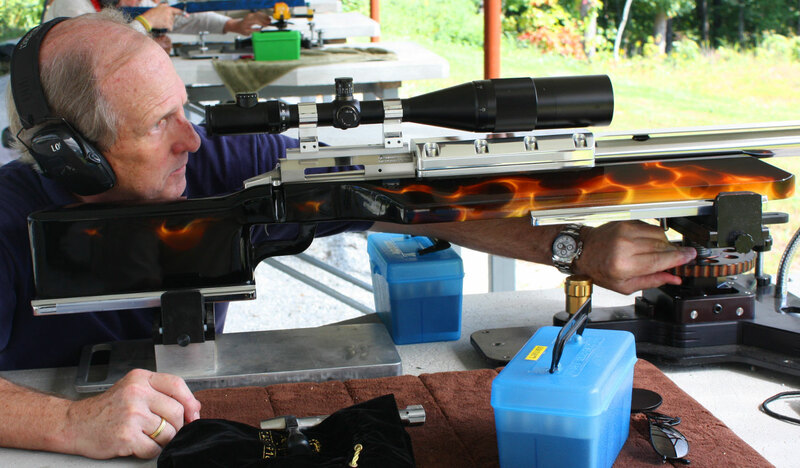 If possible we will add equipment lists and individual relay results to this story on Accurate Shooter.com. 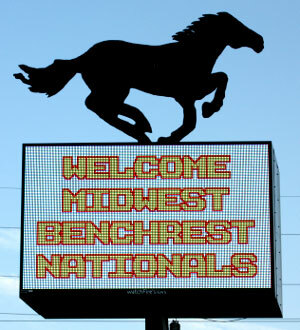 Share the post "Match Report: IBS 1000-Yard Nationals in Yukon, Missouri"
It’s crunch time in Calfornia. Golden State gun owners need to band together and urge Governor Jerry Brown to veto extremely radical anti-gun measures that were recently passed by the California State Legislature. 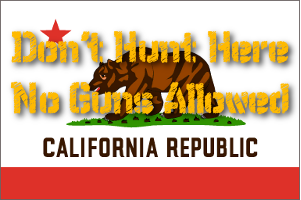 Along party-line votes, California legislators approved a series of bills that will severely restrict Californians’ Second Amendment rights, and curtail hunting statewide. These bills will do everything from banning ALL semi-automatic rifles with detachable magazines (even flush-mount mags in hunting rifles) to outlawing the use of traditional lead ammunition in hunting, the first such statewide ban in the nation. The anti-gun package of legislation was approved over the opposition of law-abiding gun-owners, hunting and shooting sports organizations, as well as many business and labor leaders. 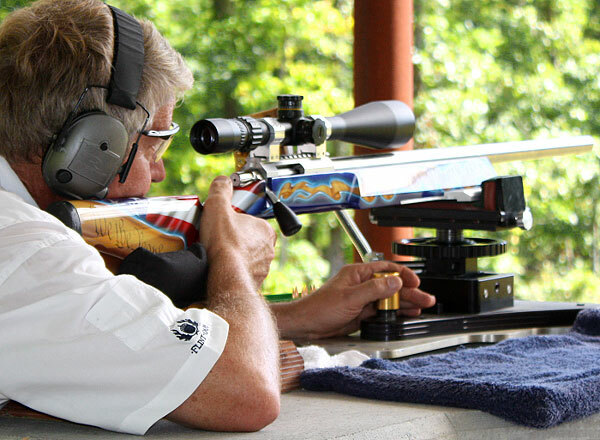 NSSF urges all sportsmen, gun owners and retailers to contact Gov. Brown and urge him to veto these these anti-gun/anti-hunting bills. 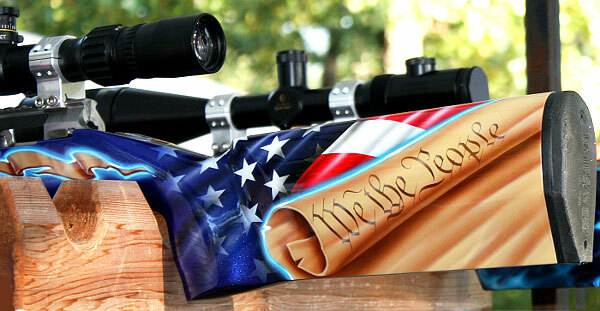 For more info, See the NSSF Legislative Alert. Share the post "Californians Seek Vetos of Radical Anti-Gun Legislation"
Robert reports: “I was able to get my hands on some of Hornady’s 6.5 Grendel brass. My big question was how it would measure up, particularly the loaded necks, and whether it would be compatible with our existing 6mmAR and Turbo 40 die sets. As it turns out, this brass looks like a perfect fit for our existing die sets (and obviously 6.5 Grendel die sets too). Accordingly, folks with existing die sets will be able to use the Hornady brass without any issues.” However, as the loaded neck on the Hornady brass is .001″ (one-thousandth) slimmer than Lapua brass, you may want to try a smaller bushing when sizing Hornady Grendel brass. The Hornady 6.5 Grendel brass has a LARGE Flash Hole, about .078″ versus .0591″ for Lapua brass. Dimensionally, the biggest difference is the shoulder diameter, with the Hornady brass measuring 0.428″ vs. 0.424″ for the Lapua brass. The Hornady is actually a better fit for 6mmAR chambers which are about 0.432″ at the shoulder. Interestingly, case H20 capacity is virtually identical. Water capacity of new, unfired Hornady 6.5 Grendel brass is 35.1 grains, while new, unfired Lapua Grendel brass holds 35.0 grains of H20. Both brands of Grendel brass increase to about 36.0 grains H20 capacity after firing and full-length sizing. 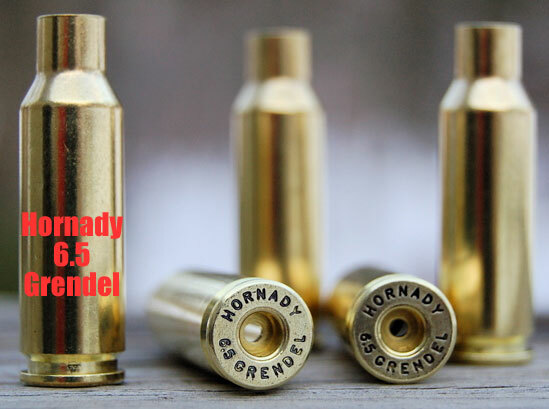 Share the post "Robert Whitley Reviews Hornady-made 6.5 Grendel Brass"